With so many automatic cleaners in the market, pool professionals must know how to troubleshoot common problems and user-mistakes. 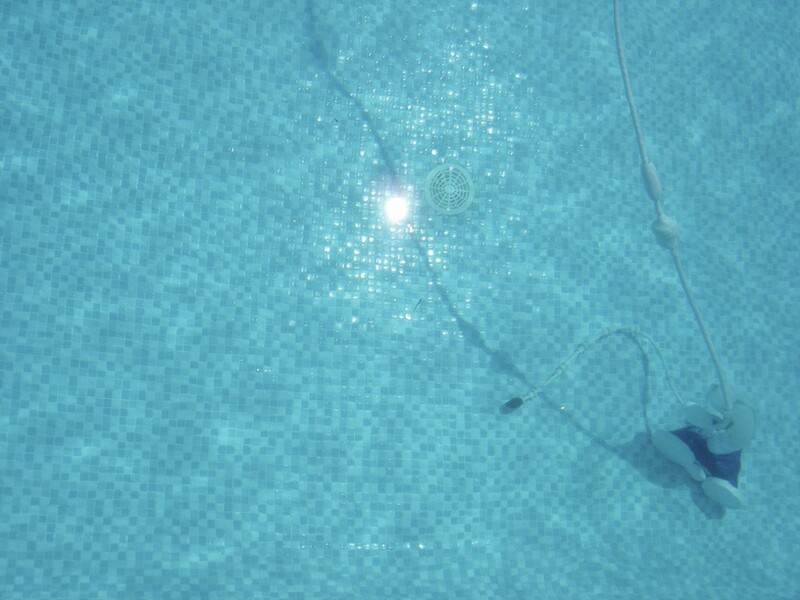 This article provides troubleshooting solutions for pool professionals and retailers when automatic pool cleaners aren’t working properly. What causes automatic pool cleaners to flip or do wheelies? The water level in a pool is one of the most common causes for this problem. When the water level is too high, the water line is very close to the coping. So when the cleaner starts to climb the wall, it hits the coping and flips on to its back. This actually is very detrimental to the motor(s) because the motor is no longer in the water. Water keeps the motor cool. Outside of the water, the motor can burn out within one hour — or within minutes if it’s really hot. Another cause of flips and wheelies is too much air in the unit. When a homeowner first uses an automatic cleaner, they often forget to remove all of the air before starting the machine. This can make it hover an inch above the floor. Worse, the cleaner might look like it’s working, but it’s not actually picking up any debris. To remove the air, hold the unit under water and shake it left to right, up and down. You should see air bubbling to the surface. Carefully watch that the unit actually hits the pool floor. Most likely the polyvinyl alcohol brushes have not absorbed the water. To fix, simply let the cleaner sit in the pool for at least 30 minutes or until the brushes are soft. Sometimes this problem is as simple as the pool water being too cold. In order for the cleaner to operate correctly, the water needs to be at least 60 degrees Fahrenheit. However, water can get into the handle and cause the unit to lift brushes from the wall, breaking the suction. Users should try to place the handle at an angle to remove the water so the unit can climb. If the temperature is warm enough and the handle doesn’t have water in it, then there is the possibility that the pump motor or propeller is defective. If this is the case, you will likely see an early shutdown of the unit and the pump motor will need to be replaced. Though it’s obvious, be sure that the power supply is connected properly to the outlet. If the unit moves in short, jerky motions, it could have a deteriorated drive belt, which can be simply replaced. Debris could be stuck in the drive pulleys, so it’s important to inspect them. If the pulley teeth are filled or missing, replacing the pulley is another simple solution. Check for worn out brushes and drive tracks, which may need to be replaced. Lastly, check the bottom lid assembly — is it secured? If not, it could be dragging on the floor and causing irregular movements. The unit also may need new lock tabs. What are some of the common causes of premature motor burn out? Overheating is the No.1 problem. This can be caused by several factors. Pools that have a beach entry should use an automatic cleaner with a sensor that detects any zero-depth water level and prevents the cleaner from exiting the water. If any of these problems turn out to be issues that fall under warranty or require repair, be sure to check with the manufacturer of the product. They likely will have a Certified Service Center where the units can be sent in for repair. This article was written by Guy Erlich and originally appeared on Pool & Spa News [link].